The students of New Caney Independent School District (ISD), TX have partnered up with the Piney Woods United States Green Building Council (USGBC) Branch of Montgomery County in an effort to build a green home from recycled shipping containers. This home will serve as a demonstration house and is will be the first of its kind in the country. 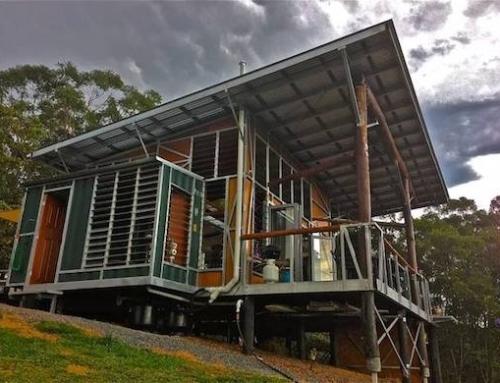 Once they finish it, the home will be open to the public in order to demonstrate the latest technologies in the areas of energy efficiency, recycling, water management, and use of readily available green products. The finished home will have two bedrooms, a bathroom, a kitchen, and a living room, along with storage closets. 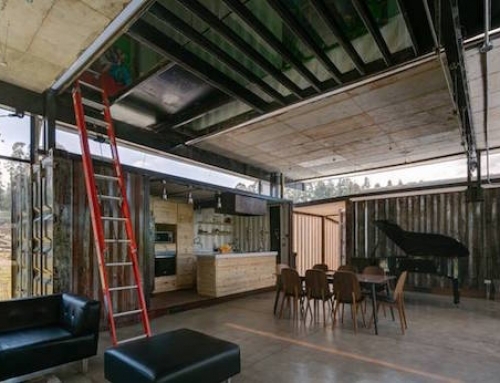 The home will be built using two 40-foot cube shipping containers, which have outlived their usefulness. 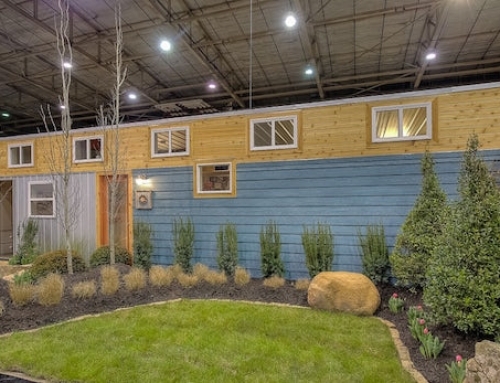 The demo home will also be built to function totally off the grid. Roof-mounted solar panels will provide all the necessary electricity, while a composting toilet, rainwater capture system and a thermal dynamic water heater, will make up the water management system. Once completed, the builders will also seek a LEED for Homes certification for the project. The building process will be overseen by Sergio Grado, owner of GradCo Structures & Homes, LLC, a company that specializes in “green construction.” The plans for the home were drawn up by the Costa Rican architect Benjamin Garcia Saxe. The plans for this home closely resemble Saxe’s Containers for Hope home. The two 40-foot recycled containers will be placed one next to the other with a gap between them. This gap will be filled in to form a central corridor with the rooms arranged along either side. The roof of the house will be constructed from the side sections of the containers that were cut away to install windows and other openings. The containers will not be placed perfectly side by side, but offset laterally, which will make the home seem bigger. Also, the roof will be raised, which will create a sense of spaciousness, while the roof windows will allow lots of natural light to enter the home. The home will be cost-effective to build and Gardo hopes the model will inspire the nonprofit organizations that deal with the demand for affordable housing to take advantage of the model. Another main goal of the project is to show the general public the benefits of living in a green home. The project will also help the young students of New Caney ISD hone their skills. The students participating in the project are those from the Building Trades and Welding Technology CTE programs. By working on this home, the students will be able to improve their skills in carpentry and welding, while learning the basic principles of building green. All the material will be paid for by The Piney Woods USGBC Branch, while all the labor will be provided by the students. 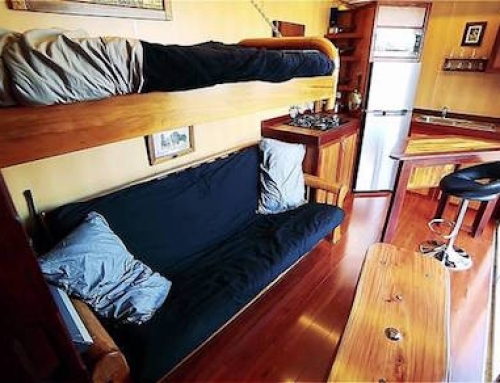 Construction of the shipping container demo home is set to start this month. I’m interested in seeing/hearing more about this. 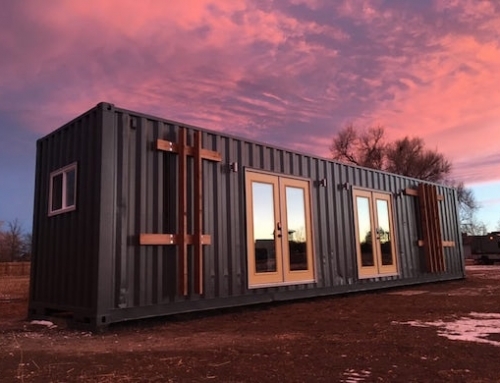 What Bill Heineken said 🙂 It looks like an interesting project and a way to repurpose some of the excess shipping containers we have in this country. Tried to find additional information on the school districts web site, nothing yet. Is there a cost estimate of this home? I am interested. Looks great. It cost around 40,000 to build. I seen it on another website.